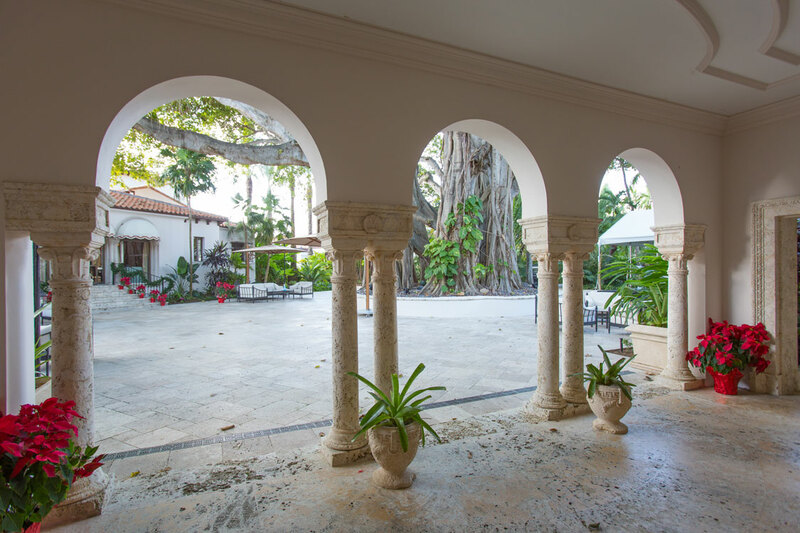 Located on exclusive Fisher Island, the Vanderbilt Estate is a magnificent example of the Spanish Revival architecture popular throughout South Florida in the late 1920’s. In 1925, after vacationing several winters in the Miami Beach area, William Kissam Vanderbilt II traded a luxury yacht to Carl C. Fisher for ownership of the island. 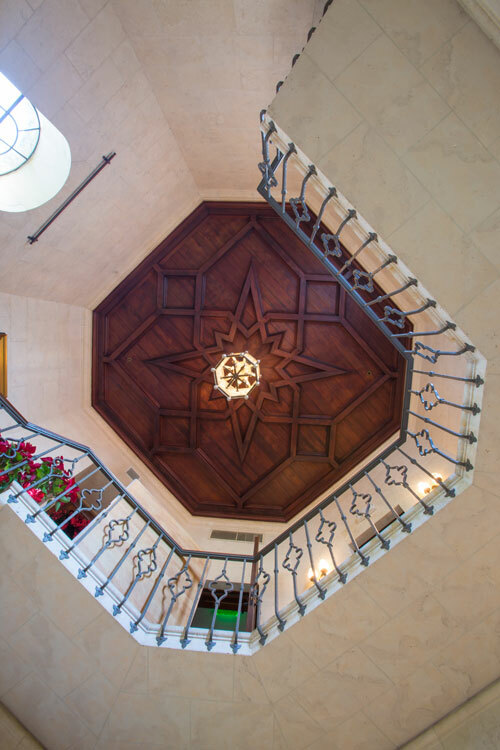 Renowned architect Maurice Fatio was retained to design the home, completed in 1940. Constructed at a cost of approximately $1.5M, the estate included the nineteen bedroom main house, guest cottages, servant quarters, a pool house, golf course, tennis court, swimming pool, fire house, pump house and an airplane hangar for Vanderbilt’s seaplane. The dock was custom designed to fit Vanderbilt’s 264’ yacht, nicknamed the floating Mansion. 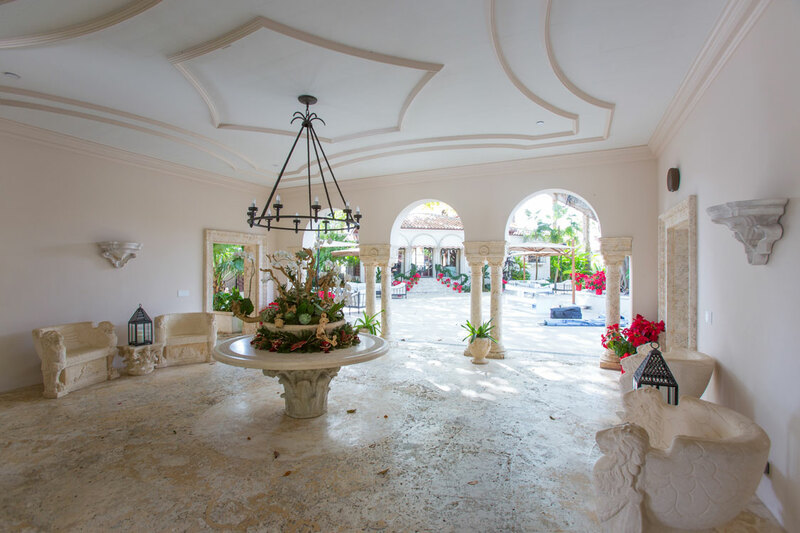 The home was designated historic by Miami-Dade County in 1987. 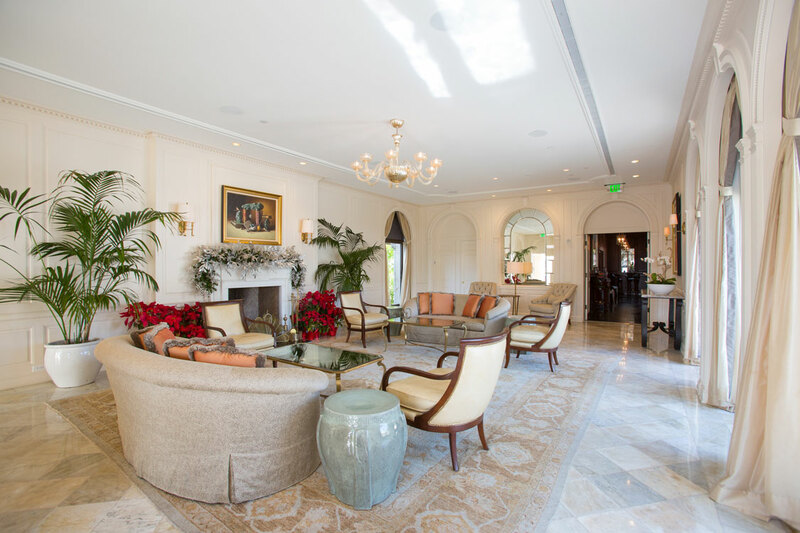 Today the estate serves as the home of the Fisher Island Club. R.J. Heisenbottle Architects provided full architectural and engineering services to complete the restoration of the historic mansion including the bronze windows and doors, new barrel tile roof, structural and decorative stone repairs, new mechanical, electrical, plumbing and fire protection systems. 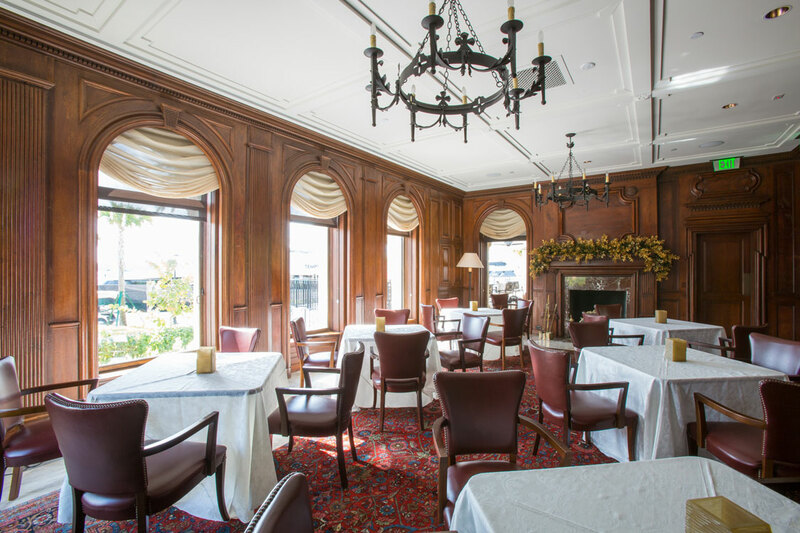 Interior work consisted of a new banquet kitchen and the restoration of Mr. Vanderbilt’s living room, dining room and bedroom. 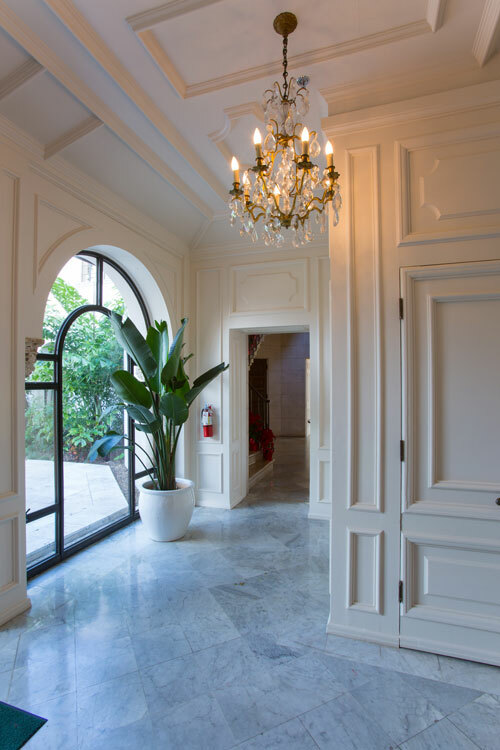 RJHA has also designed the addition of new hotel reception offices, and club offices, fitting these seamlessly with the historic structure, while allowing the estate to better meet the needs of its current function as a private club.